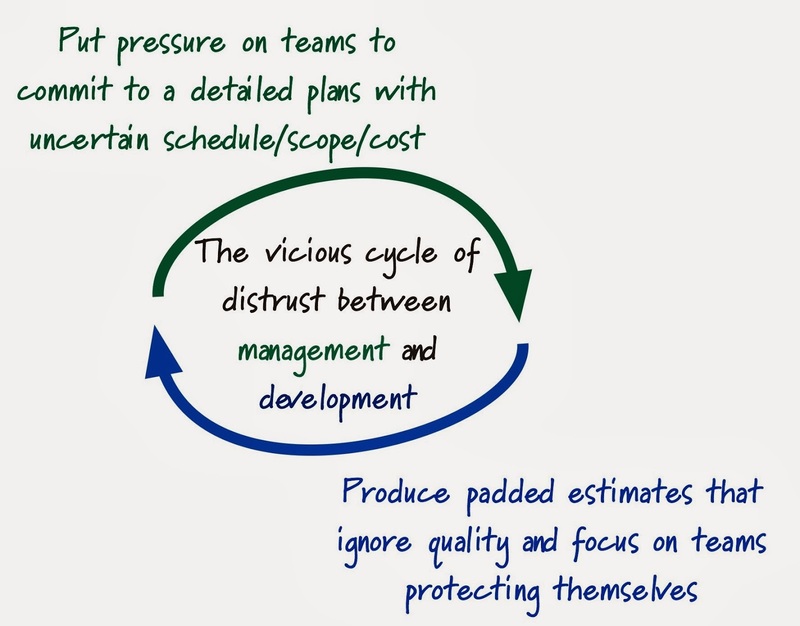 Agile Game Development: How Do You Turn a Vicious Cycle of Distrust Into a Virtuous Cycle of Trust? 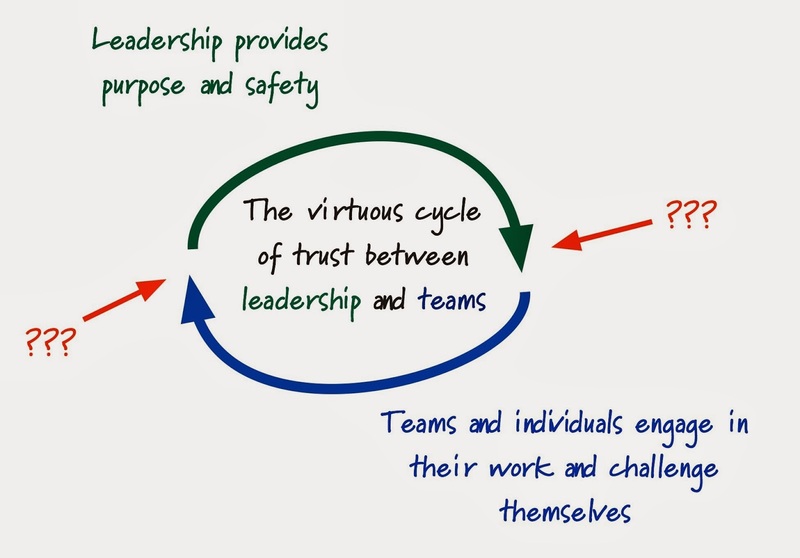 How Do You Turn a Vicious Cycle of Distrust Into a Virtuous Cycle of Trust? I call this the "Vicious Cycle of Distrust". Having been on both sides of this cycle, I'm quite familiar with the damage it does to a culture. I've changed the term "management" to "leadership" because a significant purpose of leadership is to drive this cycle, to create safety and purpose. I've also called out "teams and individuals" rather than "developers" because the two act differently and teams are ideally more capable than just the sum of individuals. What else have you seen that drives a virtuous cycle? Schwerpunkt: Any concept that provides focus and direction to the operation. It provides actionable guidance in situations where there is no formal directions. It contributes to an outward focus. It reinforces mutual trust. It has to provide actionable guidance in situations where there is no formal direction (explicit instruction). This is what distinguishes schwerpunkt from vision. Thanks for this! I consider Boyd an under appreciated genius. This is an excellent site with great resources. Very in-depth and well thought out. Found the site through gamastura.com. What are your thoughts about Agile (SCRUM, Kanban, Lean, etc.) project management software? Do you see specific solutions in the industry that are more popular than others? Can software solutions affect productivity, workplace and product quality? There are some really great "agile tools" out there for helping teams to organize. The main issue I see is how they are used. I've seen them used to track individuals, manage huge unwieldy product backlogs or even task assignments that go out months in advance. This is not being agile at all, regardless of what it's called. But for game development, tracking asset creation in production, tracking TCR/TRC checklists, even containing and manipulating a product backlog, tools can be useful. The most common tools being used today are Jira and Hansoft.